It’s fish week for me and I’m tired for the standard Lemon Pepper flavor. I purchased a bag of catfish from our local Sam’s Club. Cynthia was researching the Keto lifestyle and suggested that I look at using an ingredient that I never would have thought about using before. Thaw the fish per package directions. In one bowl, thoroughly mix the pork rind powder with the parmesan and whatever spices you’ve chosen. In a second bowl, whisk the egg and heavy cream. Thoroughly coat the fish in the egg mixture on all sides, then thoroughly coat it in the pork rind/cheese mixture. Place on a baking pan and bake at 400 for 12-15 minutes or follow the package directions. 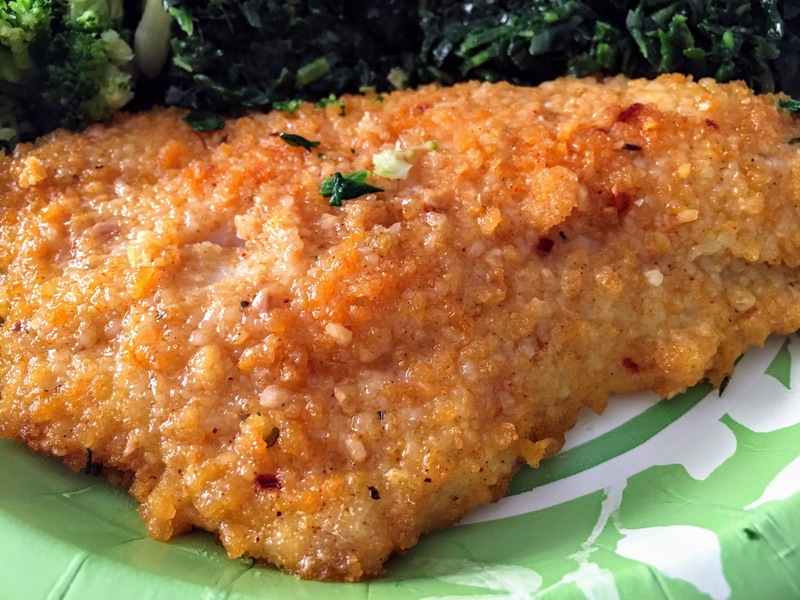 This entry was posted in Recipes and tagged baked, catfish, keto, keto friendly, low carb by kenyonsjourney. Bookmark the permalink.